Glad to have been able to help get Rooster back to form! Now then weren't you banned by AO for too much provocation filling in during Rick's absence?? I am gonna see if I can do something with this in the bumper mouth. 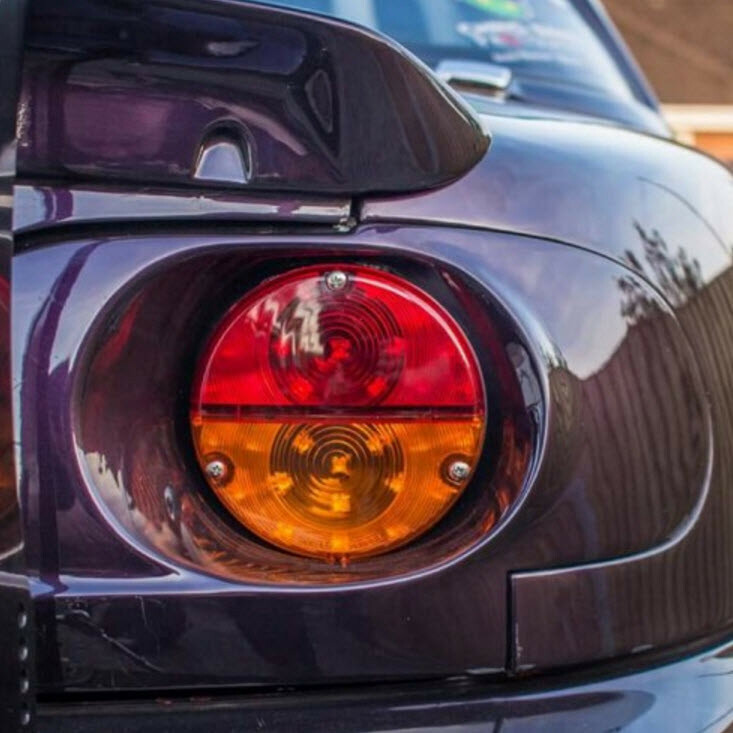 Eunos emblem in the center? Fog lamps on each end? Or it may end up in the trash ?? Last edited by MiataQuest; 02-23-2018 at 05:48 AM. That was provocation? I just gave him a poke or two and per Rick and I quote" I think the Entire MR gang should poke AO, constantly. " My wife's IS300 has been a friends on the lift waiting for part for her fuel tank we literally dropped Sunday. So I've been daily driving the Miata while she drives my truck this week. Been really enjoying the shorter gears from the 6spd/3.9 I installed a few months ago. Sold a few extra parts earlier this week, so I think I'll order the VDO gauges and AN fittings to finish up my braided fuel lines. Midtenn86- ya gonna be at the Cars n Coffee Mar. 3rd? I might try to make it out. Not sure if I'll be there in the Miata or not. Might bring the daughter out and give the wife some time to herself. We plan on being there with the Miata club if the weather is OK, not sure which Miata I'll be in, if we can get tags on Rooster I'll drive it otherwise the Green 03. On order...GV x REV9 LED Nostalgic Tail Lights Kit. I sold my Carbon Miata rear panel only because the Garage Vary panel has a character line and recessed area that I want to add some black paint. I am a slave to automotive fashion. On order...Jet Stream Front Lip. Automotive fashion and function. I do plan to see some triple digits here & there. After I am satisfied with the Jet Stream lip installation I will have a NIB R-style lip and TrackDog extreme splitter for sale. I usually sell them at a very reasonable price so they move fast. Ecotecmiata is working on another kit that will utilize the Pontiac Soltstice transmission (Aisin AR5) to work with the Miata PPF. This transmission is just for future insurance if I blow the Miata transmission or have any flywheel issues with the Ecotec adapter. 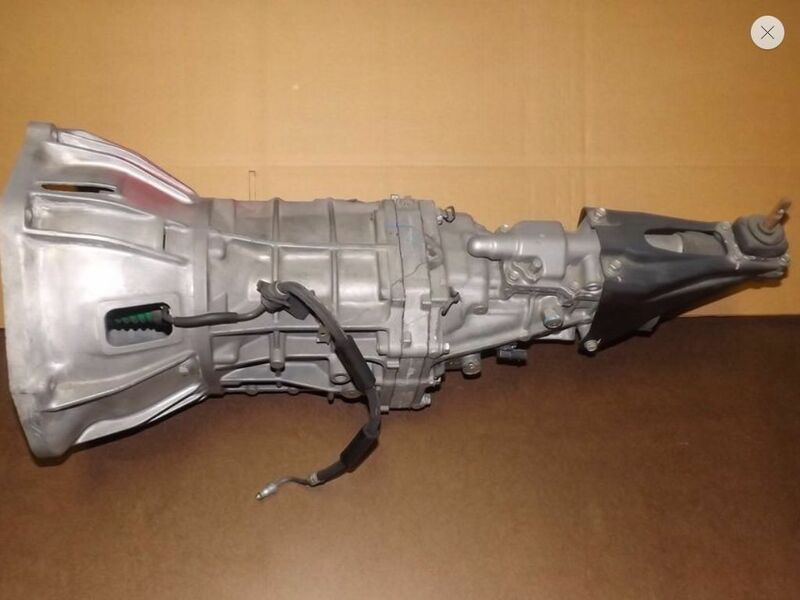 I was assured the latest conversion kit is now bulletproof, but I had to snag this anyway because I might not have another chance to get a NEW transmission. It came from the factory when Pontiac shut down. Even has the hydraulic internal slave cylinder and throw out bearing. 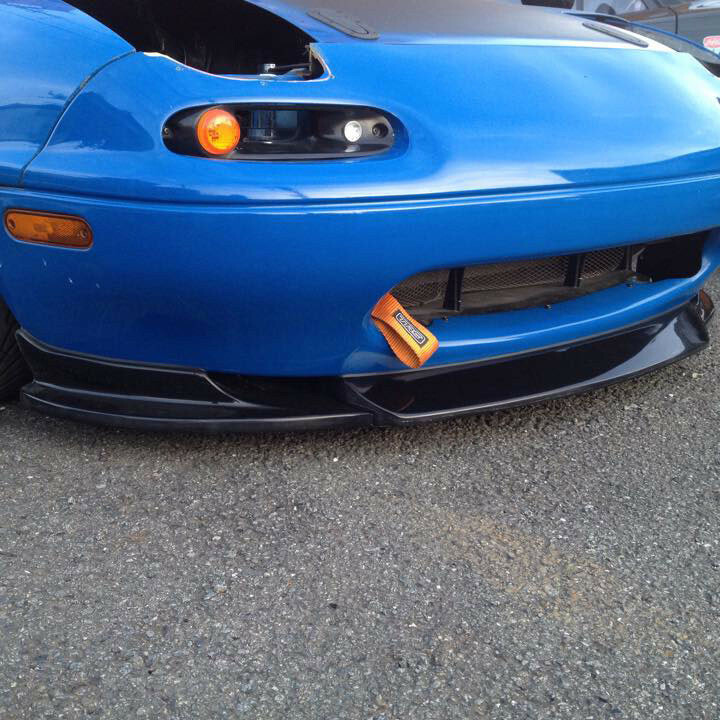 Last edited by MiataQuest; 02-23-2018 at 07:33 PM. Dropped the miata off at a friends. will start working on it this coming week. work to come: Timing and accessory belts, water pump, thermostat, intake and exhaust gaskets, cam and crank seals, clutch master and slave, exedy clutch, rear main seal, motor mounts and all new hoses and fluids.... probably some stuff i'm forgetting. While engine is out, Painting of the engine bay will commence, in Rustoleum satin moss green. Could I paint the valve cover with it or not? it's not labeled high temp paint. I'm ambivalent about painting a VC. It gets oil on it, repeated heat cycles, taken on and off a bunch of times. They look good, but they are hard to keep from scratching, chipping, etc. I'm a fan of powder coating for durability and chemical resistance. I painted the VC on my spare engine, the first time I tried to clean it with parts/brake cleaner, the paint started stripping. Looks like I probably be there for a little bit. Cool, we'll be on the opposite side of the lot from the theater's front doors. Gonna get the Rooster cleaned up if it ever quit's raining today. Yeah, I'll have to clean my car up early Saturday. It'll be a quick wash and wipe, but it'll still be wearing rubber stripes from GridLife back in August. It'll look good, bring it on down!